yet it’s interest that keeps the peace. [First published April 1, 2006] Born out of conflict, the labor of mutual adjustments to change, peace is a new social contract. Its spine is a balance of powers; its organs, expectations. But peace eventually ages and, overcome by change, dies as it entered this world: in conflict. And of its life, cooperative and productive, its offspring, experience, will remain. Thus the question: how to assure peace a long and healthy life, and to minimize the burden of its inevitable passing. The Peacekeeping Principle underlies the answers. It is this. Its subprinciples are given in Table 28.1, and will be discussed in order (if you do not see the Table, it is because of a formatting problem that affects some versions of Windows — it comes out clear on the Mac, and here). We should begin with things as they are, the here and now, not some past situation or some future hope. But this assumes knowing what is presently important for keeping the peace. And this requires understanding the nature and basis of peace. 1.Understand peace. 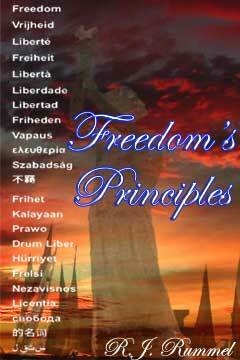 The principles presented in this book provide a relevant understanding of peace. To review, each of us is an individual (The First Master Principle); each group to which we belong is unique. We come to live together in all our individuality and subjectivity through a trial and error process of learning to read each other’s field of expression (The Communication Principle), and of mutual adjustment to what each will, can, and wants to do. Conflict is the noise of this adjustment (The Conflict Principle), out of which mutually reliable expectations are developed. These expectations underlie interpersonal and social order, cooperation, and harmony. For reliable expectations enable us to achieve our interests, and satisfy our needs. A structure of expectations is then a reliable ordering of expectations to which individuals have implicitly or explicitly agreed because of their mutual adjustments. It may be composed of laws and norms, of contracts and misunderstandings. It defines how each will react to the other’s behavior. And it reflects the most acceptable balance among the interests, capabilities, and wills involved. This is the balance of powers, which supports the structure of expectations. For as long as expectations are aligned with it, those involved have an interest in maintaining the associated order (The Cooperation Principle). But this balance is at a moment in time. Its components will change, but unequally. Expectations will change with the psychological inertia of habits and norms, while interests, capabilities, and wills can change rapidly. A gap thus may develop between what others expect of us and what we are able, willing, or interested in continuing to do. This would produce a strain, a growing instability in associated relationships, a disposition towards a breakdown of expectations, conflict, and the development of a new structure of expectations (The Gap Principle). Peace is a structure of expectations, a social contract (The Second, Third, and Fourth Master Principles). Peace will be kept so long as all of us involved, for whatever reason, find it in all our intersecting interests, capabilities, and will to do so. Thus, these additional rules follow. 2. Know what kind of peace. Peacekeeping must have in mind a specific peace—a particular structure of expectations. If we want to keep the peace, therefore, we should know what specific structure of expectations we want to maintain. Is it a marriage, the harmony of the household, or the division of household tasks? Is it a constitution, the laws regulating conservation, or the rights of the press? Is it multilateral trade arrangements, a security treaty with an ally, or the status quo in the Middle East? Peacekeeping must be shaped and fitted to the structure of expectations of concern. There is another aspect to knowing what kind of peace. There are not only different structures of peace, but also different levels of peace. Does one want to avoid all conflict? Intense nonviolent conflict (yelling, extreme words, boycotts, sanctions)? Violence? Or, just extreme violence (injuring another, revolutions, war)? The significance of this question is that different levels of peace are interrelated, and trying to keep the peace at one level may destroy it at another. Trying to avoid all conflict may put a lid on adjustment, cause pressure for change to build up, and risk an outbreak of violence. Indeed, avoiding war in a particular situation may require a willingness to engage in low-level violence. As will be discussed below, therefore, one peacekeeping subprinciple is to accept some conflict now in order to avoid more intense conflict later. 3. Recognize the interdependence of expectations. While we must keep specific expectations in mind when trying to keep the peace, we also should recognize that structures of expectations are interdependent. Our relations with others are a totality, a whole that divides into overlapping and nested structures. Our efforts to keep one kind of peace may spill over onto other kinds of peace, perhaps even creating conflict. Our accommodations on the job to keep peace with our boss, such as working overtime, may cause family quarrels; or a government’s desire to avoid an open clash with strikers may communicate weakness and encourage a general rebellion. Therefore, while we must have a certain peace in view, we should also take into account the effect of our peacekeeping measures on other kinds and levels of peace. By avoiding one fight, we may create two. 4. Keep in view the balance of powers. Basic to a specific peace is its associated mutual balance of interests, capabilities and will. How this balance changes will increase or decrease the likelihood of conflict. Starting from the existing balance of powers, therefore, we must have a sense for the nature of this balance and any changes in it. Particularly, we should assess the relevant change in powers. Is there a change in the specific interests involved in a structure of expectations? Have relevant capabilities altered? Has the will of one or more parties changed? For example, through diverse conflicts and crises during the 1950s and early 1960s, the United States and Soviet Union developed a balance of powers and associated understandings and treaties that allowed them to coexist with a minimal danger of war. However, for a number of reasons (such as the Vietnam War, generational turnover, fear of nuclear weapons, and a tactical Soviet emphasis on peaceful coexistence) the interests of Americans then shifted from primarily opposing Soviet expansionism to avoiding nuclear war. American capability to fight a war declined, and the will to oppose communism weakened. During this time, Soviet rulers continued to pursue their primary aim of a Soviet led, global communist victory and continued to increase her military capability to support this goal. Much change therefore occurred in the Soviet-American balance of powers relevant to the possibility of a Soviet-American war. This dangerous imbalance was not righted until Ronald Reagan became President. He strengthened American conventional and nuclear capability, initiated the development of a nuclear missile shield (called “star wars”), and well displayed firm resolution in confronting Soviet power. This did much, not only to make a Soviet-American war more unlikely, but as it became obvious to Soviet rulers that they could not compete economically and militarily with the U.S., it led to the collapse of the whole communist system. Also, we must not only assess what is the relevant change in powers, but also what relative changes there are. The change in the interests, capabilities, or will of one party may be offset by changes in the other. Through disarmament or arms control treaties, two states may reduce the number of weapons and hold constant their relative quality. Two states also may mutually increase their armaments, with one maintaining a rough superiority. In the case of the United States and Soviet Union, from 1968 to the late 1970s the former had been in effect unilaterally disarming while the latter had engaged in a rapid build up. Thus in relative terms, the disparity in military capability during this period had been changing more rapidly than would be clear from looking at either’s capabilities alone. A particular balance of powers is essential to its associated peace. This balance is a matter of what psychological relationships have developed between individuals or groups. Knowing or sensing this balance is one aspect of peacekeeping. Maintaining this balance is another. Two rules apply here. 1. At least maintain relevant powers. 2. At least maintain relative powers. We should know what interests, capabilities, or will are relevant to a specific peace; and their relative balance. At least, then, the relative balance of the relevant powers should be maintained to keep the peace. This, however, may be a temporary effort until any significant gap that has developed between expectations and powers can be lessened. For example, peace and harmony in a family may have been established (The Conflict Helix) through years of living in the same neighborhood (allowing stable friendships to develop) and evolving a satisfactory balance between housework, recreation, outside employment, and the family budget. Maintaining this peace, were this the dominant goal, would then mean avoiding any radical changes in the conditions that would significantly alter what family members want, can, and will do. It probably would mean staying in a neighborhood, with no radical change in job (such as working night shifts, which could require new family adjustments), keeping relatively the same division of labor (such as the wife not starting a separate career), avoiding relatives moving in, and so on. Of course, such changes may be desirable and the resulting conflict a worthwhile adjustment. I do not argue in the abstract for peacekeeping above all, or even as a major goal. We have many interests to satisfy. And the weight peacekeeping should be given against, say, starting a new career, depends on our values and judgment. Nonetheless, watching the balance of powers helps us to better manage our life. On this, a third rule is important. 3. Watch the status quo challenger. The status quo is the core of any peace. It defines rights and obligations—who gets what from whom—and is based on a particular balance of powers. Now, a party to the balance may not like or want the status quo, but has accepted it because they lacked the power to get more. They may be dissatisfied, however, and simply be waiting for a favorable change in the balance of powers to challenge the status quo. Because the issues are so crucial, a resulting conflict over the status quo can lead to intense violence and war (The Violence and War Principles). Therefore, it is vital to recognize a status quo challenger (such as a person who wants our mate, job, or status; or assert control over our life, group, or country); and to know the particular balance that maintains the status quo against the challenger. Usually a status quo is stable when the challenger is weaker in power (interests X capabilities X will). Peace is then a matter of maintaining the relative power of those who support the status quo. For example, the status quo in Europe so bloodily fixed by World War I and the 1919 Versailles Treaty depended on maintaining a politically and militarily strong Great Britain and France, and a relatively weak Germany. This was bitterly resented by many Germans. And when Hitler centralized and united Germany politically in the early 1930s and began to rearm, and when Britain and France subsequently showed confused interests and a weakness of will in keeping the status quo by appeasing Hitler’s territorial demands, the balance of powers clearly shifted toward the challenger. The status quo became ripe for disruption, the situation ripe for war. It came in 1939. 4. Be alert to warning signals. Often we need not be a social scientist or seasoned observer to recognize that a balance of powers and expectations are becoming unaligned. We are all familiar with the signs: tension, growing hostility, insecurity, dissatisfaction, irritability. These are atmospherics whose precise source may be obscure and do not consist of any specific behavior. Something is wrong, things are not right in our relations with another, and we cannot put our finger on it. Tension, insecurity about another, growing dissatisfaction and the like, usually reflect a growing gap between our balance of powers and a central structure of expectations. These feelings tell us that a significant gap exists. We must not try to avoid tension or hostility, nor should we treat such symptoms directly; rather we must try to seek their source. What expectations or status quo are involved? Has there been a relative change in relevant interests? Have associated relative capabilities shifted? Is the will to maintain expectations still there? Perhaps we are no longer interested in doing household chores or commuting to and from work three hours a day. Possibly the middle class is no longer willing to shoulder the burden of inflation and taxes. Maybe a new regime believes that it can now realize its historic national goal of extending its border to the ocean. Or, a wife could have “outgrown” her husband intellectually through her career; shifting populations and upward mobility may have weakened the power base of a political machine; or change in relative military capability may have emboldened the status quo challenger. Or, conceivably a husband may have lost that will to work and career ambition that his wife had admired; members of a radical political movement may no longer be determined to risk jail and even death to achieve their revolutionary aims; or a state may no longer have the will to do what is necessary for its own defense. If a particular balance of powers and specific expectations get out of alignment, associated conflict likely will occur. To reduce this risk, if indeed we do not want to take it, four rules are helpful. 1. Redress the balance of powers. If we can locate relative interests, capabilities, and will that are unbalanced, then we can try to recover the original balance. Or, if it is a matter of the other having changed, we might make compensating changes in what we want, can, and will do. 2. Negotiate incremental changes in expectations. It may be easier to reduce a gap between expectations and power by appropriately changing expectations. Contracts can be redrawn, understandings discussed and redefined, and practices altered. Diplomacy can be defined as the art of keeping international expectations in tune with the changing balance of powers among states. In interpersonal and social relations as well, we all can be diplomats. 3. Adopt tacit changes in expectations. Negotiating changes in expectations requires the agreement of all the parties involved, and is difficult to achieve in the absence of conflict (which sharpens interests and communicates intent and resolution). Sometimes, however, it is in our power to make gap-reducing, unilateral changes in a structure of expectations. If the other tacitly agrees by not opposing or adopting the changes in their own behavior, then an adjustment in expectations has been accomplished. Much of the change in parents’ expectations that occur as children grow into adults involves the parents allowing rules that the children have outgrown to fall into disuse—violated without notice. On the law books of every American city and state government are old laws no longer enforced, such as one requiring automobiles to be preceded by a man with a lantern at night, or another making kissing in the public park punishable by thirty-days in jail. Peace occurs along many dimensions and at many levels. There may be peace over a status quo while there is an intense dispute over some practice, such as who is responsible for replacing the toilet paper in the bathroom, an income reporting law for Congressmen, or landing rights for foreign airlines. There may be a peace from violence as lower level conflict rages, with diplomatic and economic sanctions employed; warnings, threats, and accusations exchanged; but no war. Part of the problem of peacekeeping is knowing what peace is worth preserving and at what level, as the first subprinciple points out. The recognition of this complexity of peace is a prerequisite to understanding how to use conflict, violence, and war to keep the peace. Foresters create controlled forest fires to burn off competing underbrush, help the germination of new trees, and protect the forest against more severe fire. Fire to fight fire. Through inoculation, physicians introduce into the body weakened forms of disease producing viruses or bacteria in order to strengthen the body’s defenses against the disease. Disease to fight disease. And herds of wild deer that are overcrowding food supplies are often protected against mass starvation by systematically killing a proportion of the herd. Killing to prevent greater death. To fight something by purposely introducing that which one wants to avoid certainly is paradoxical, at first thought, and selective burning, inoculation, and herd thinning were not readily accepted practices. Similarly, to maintain a higher peace often requires engaging in lower level conflicts, sometimes even violence. Here I am tempted to use the analogy of a safety valve, but lower level conflict does more than simply allow pressure to escape. It also enables a readjustment of expectations and power. Thus, accepting some conflict now produces the needed, continual adjustments to change in a relationship. And thus avoids that large gap that by its size and the adjustment required can break down into much more extreme conflict and violence. Enabling such continual adjustments is one of the values of the exchange society and liberal democratic political system. Freedom creates a variety of relationships and rapid change. But, accordingly, freedom also creates a variety of conflicts. Were these conflicts prevented, as individual powers push against outmoded expectations, the inevitable changes would eventually create wide scale disorder, rebellion, and internal war, as in nondemocratic societies. But the freedom of people to conflict brings about the necessary adjustments incrementally; and the prevalence of cross-pressures dampens any tendency for these conflicts to escalate (The Polarity and Freedom Principles). While we may agree that lower level conflict helps prevent more intense confrontations, we may find it harder to accept that limited war may prevent a large scale or more general war. War to keep peace? Unfortunately, social calculations are often painful and difficult. We are often caught between two undesirable alternatives: accepting some pain or loss now to forestall more grief later; or avoiding the pain now because the possibly greater future grief is only a probability and may not occur. We face this to a minor degree in accepting the discomfort of a dentist chair to have our teeth filled or cleaned, even though we have no immediate toothache. In local, national, and international societies, some groups always will want change. If they challenge the status quo in minor ways and are not resisted (but are appeased) then this may invite a wholesale attack later. Such resistance is part of maintaining one’s reputation for power—one’s credibility (The Power Principle). Thus, the United States fought a war in Vietnam mainly to maintain the credibility of (I) American alliance and treaty commitments, and (2) of communist containment as the major American foreign policy. American leaders believed that the loss of this credibility would increase the risk of nuclear war with the Soviet Union. Simplifying to essentials, the Vietnam War largely was fought by Americans to maintain a stable nuclear peace (whether they were in fact correct in the particular application of this policy is beside the point here). Surely, the principle of fighting now to avoid a bigger conflict later does take precedence over other peacekeeping principles. There is a time for redressing the balance of powers, a time for tacitly adopting changes in expectations, and a time for confrontation. Perhaps the United States should have let the North and South Vietnamese fight it out themselves. What is timely and appropriate is, however, a matter of context and good sense. The only point made here is that a larger peace may call for accepting some conflict, violence, or war now. Two rules sum this up. 1. Vent pressure for change in expectations. Pressure for change increases with a growing gap between expectations and power. This pressure can be reduced before it reaches dangerous levels through lower level conflict. 2. Allow necessary mutual readjustment. It is often better to let conflict take its course, for the parties to work out their own adjustments, than to impose an artificial peace simply in order to avoid conflict. This applies to siblings, relatives, groups, and states. A problem in applying this is that it appears to violate the peacemaking rule about separating parties to a conflict. If a conflict is a spontaneous, emotional response, as between strangers bumping each other on the sidewalk, or two opposing football linesmen coming to blows, they are not working out basic expectations and separation is appropriate. Moreover, if two intermingled racial-cultural groups are engaging in protracted conflict over basic values and beliefs, then territorial separation also may be the best solution. Or the intensity of a conflict may far exceed the importance of the issues involved. The cure then may be more dangerous than the disease and intervention and separation may be appropriate. Again, peacekeeping is contextual. Successful violence breeds more violence. If violence produces what we want, this not only encourages us to use this successful method again, but also encourages others to do likewise. Not only will this increase the general level of violence, but we may also find that our own interests are defeated by others using violence more effectively against us. Many who live by the sword do, indeed, die by the sword. Two rules help us avoid violence. 1. Seek nonviolent alternatives. I do not urge pacifism. Sometimes violent aggression can only be met in kind to defend higher values than peace, such as family, freedom, and dignity. But violence may be also unnecessary, and indeed, counterproductive in developing a stable peace. I have already discussed under the peacemaking principles many nonviolent alternatives, such as separation and nonviolent resistance. 2. Avoid rewarding violence. While nonviolent alternatives may be desirable, these should not reward the instigator of violence. For this simply encourages more demands. Avoid violence without seeming to reward it. But if this is not possible, then violence may have to be met by strong and swift counteraction, as the community should suppress the violence of criminals through police action when other means fail. These, then, are five subprinciples of peacekeeping. We should know and start from things as they are, not from ideals or hopes. We should guard what balance of powers exists, and reduce any gap between expectations and power. But, in order to do this we may have to accept some conflict now. In any case, we must try not to reward violence. So far, I have discussed making and keeping peace. The final concern is fostering peace, which I will consider after attending to some possible misunderstandings. This is true by definition—at one level of peace and regarding a specific structure of expectations. But peace is complex and conflict involves many levels of behavior. Avoiding nonviolent conflict may actually encourage violence; avoiding low-level violence may encourage intense struggle and warfare. We may buy peace and pay later in blood. Peacekeeping is partly a matter of relation and proportion: that between the present and future, between various kinds of peace, and various levels of conflict. That armaments cause war is a popular but false, belief. From 1840 to 1941, there were 12 major arms races, only five of which ended in war. In fact preparing for war may be the best way to keep the peace, as a Status Quo Power maintains peace through dominance over a challenger. Armaments and war preparations are either aspects of a balance of powers that supports a peaceful order—in this case, they contribute to peace—or they manifest a growing gap between expectations and power. Whichever depends on the situation of conflict. And this situation determines whether armaments promote peace or war. As mentioned previously, for example, while the Soviet Union engaged in an arms drive in the 1950s and 1960s, the United States in general had been unilaterally disarming during the late 1960s and up to the late 1970s. A clear dominance in American military power over the Soviet Union was then lost, and in conjunction with a confusion of national interests and weakness of will this had raised, not lowered, the risk of a third world war. What lowered this risk was President Reagan’s rearmament and firm resolution and credibility. Only total submission to others lets us keep the peace by ignoring or avoiding power. If, however, we want to assert some interests, maintain or enhance our self-esteem, and protect our freedom, then confrontation is inevitable. For we achieve our own interests by working out adjustments with others—a matter of balancing our various powers. This does not mean that we always or even often use force or coercion, for we have exchange, authoritative, intellectual, altruistic, and manipulative powers at our disposal (The Power Principle). Peacekeeping depends on understanding power and its proper, proportional use. [First published April 5, 2006] It was a prime strategic concept during the Cold War and helped carry us to victory. Once America was fully engaged in the Vietnam War, it became the prime justification for fighting to win. It is at the heart of peacekeeping. And it was ignored during the senior Bush and Clinton Administrations, with the predictable result that we ended up in a war against Iraq. Now, opponents of this war and democratization are destroying it, with dire consequences for the future. This is about credibility, one of the elements in an Iron Triangle of Power and is so important in itself as to be enshrined within a strategic principle of action. Saddam never believed such war with the U.S. would ever occur—he believed that the United States was casualty-averse to an absolutely incredible degree. Saddam based that on several factors: the fact that he received only a diplomatic note after Iraqi Mirage fighters fired on the USS Stark in 1987, that the United States left Somalia after losing 19 troops, and its failure to commit ground troops early on in Kosovo. BIN LADEN: ….We believe that the defeat of America is possible, with the help of God, and is even easier for us, God permitting, than the defeat of the Soviet Union [in Afghanistan] was before. BIN LADEN: We experienced the Americans through our brothers who went into combat against them in Somalia, for example. We found they had no power worthy of mention. There was a huge aura over America — the United States — that terrified people even before they entered combat. Our brothers who were here in Afghanistan tested them, and together with some of the mujahedeen in Somalia, God granted them victory. America exited dragging its tails in failure, defeat, and ruin, caring for nothing. Hassan Abbasi…,”The Dr. Kissinger of Islam,”…is “professor of strategy” at the Islamic Republic’s Revolutionary Guard Corps University and, according to Tehran sources, the principal foreign policy voice in President Mahmoud Ahmadinejad’s new radical administration. For the past several weeks Mr. Abbasi has been addressing crowds of Guard and Baseej Mustadafin (Mobilization of the Dispossessed) officers in Tehran with a simple theme: The U.S. does not have the stomach for a long conflict and will soon revert to its traditional policy of “running away,” leaving Afghanistan and Iraq, indeed the whole of the Middle East, to be reshaped by Iran and its regional allies. According to this theory, President George W. Bush is an “aberration,” a leader out of sync with his nation’s character and no more than a brief nightmare for those who oppose the creation of an “American Middle East.” Messrs. Abbasi and Ahmadinejad have concluded that there will be no helicopter as long as George W. Bush is in the White House. But they believe that whoever succeeds him, Democrat or Republican, will revive the helicopter image to extricate the U.S. from a complex situation that few Americans appear to understand. Mr. Ahmadinejad’s defiant rhetoric is based on a strategy known in Middle Eastern capitals as “waiting Bush out.” …. He used that message to convince Syrian President Bashar al-Assad to adopt a defiant position vis-à-vis the U.N. investigation of the murder of Rafiq Hariri, a former prime minister of Lebanon….According to sources in Tehran and Damascus, Mr. Assad had pondered the option of “doing a Gadhafi” by toning down his regime’s anti-American posture. Since last February, however, he has revived Syria’s militant rhetoric and dismissed those who advocated a rapprochement with Washington…. In recent visits to several regional capitals, this writer was struck by the popularity of this new game from Islamabad to Rabat. The general assumption is that Mr. Bush’s plan to help democratize the heartland of Islam is fading under an avalanche of partisan attacks inside the U.S. The effect of this assumption can be witnessed everywhere. In Pakistan, Pervez Musharraf has shelved his plan, forged under pressure from Washington, to foster a popular front to fight terrorism by lifting restrictions against the country’s major political parties and allowing their exiled leaders to return…. In Afghanistan, Hamid Karzai, arguably the most pro-American leader in the region, is cautiously shaping his post-Bush strategy by courting Tehran and playing the Pushtun ethnic card against his rivals. In Turkey, the “moderate” Islamist government of Recep Tayyip Erdogan is slowly but surely putting the democratization process into reverse gear…. ….Saudi Arabia has put its national dialogue program on hold and has decided to focus on economic rather than political reform. In Bahrain, too, the political reform machine has been put into rear-gear, while in Qatar all talk of a new democratic constitution to set up a constitutional monarchy has subsided. In Jordan the security services are making a spectacular comeback, putting an end to a brief moment of hopes for reform. As for Egypt, Hosni Mubarak has decided to indefinitely postpone local elections, a clear sign that the Bush-inspired scenario is in trouble. Tunisia and Morocco, too, have joined the game by stopping much-advertised reform projects while Islamist radicals are regrouping and testing the waters at all levels. ….Running away from Saigon, the Iranian desert, Beirut, Safwan and Mogadishu was not hard to sell to the average American, because he was sure that the story would end there; the enemies left behind would not pursue their campaign within the U.S. itself. The enemies that America is now facing in the jihadist archipelago, however, are dedicated to the destruction of the U.S. as the world knows it today. What is most important about this misreading of a post-Bush American foreign and defense policy, is the risk for more wars that it entails. Need I mention Iran, North Korea, and China over Taiwan? Maintain or enhance one’s credibility for action. Maintaining the credibility of America’s commitment to defense alliances and containment was what powered strategic support for the Vietnam War. Maintaining the credibility that we would respond in kind against a Soviet nuclear first strike against the United States was the strategic core of American Cold War defense policy. Now, in Iraq, Bush has signaled in many ways that the U.S. is committed to staying the course, to the defeat of terrorism, and to a democratic Iraq. He has bolstered the credibility of this by putting the lives of American soldiers at risk, spending billions of dollars on this war and the democratization of Iraq, and displaying his dedication through speech after speech. But, his political opponents and those of the war have shown in many ways that if they gain power over Congress and the presidency, which our enemies who are unsophisticated in American politics, see as likely, they will not only force a last-helicopter-out-of-Vietnam defeat, but weaken the war on terror (or turn it over to the UN, which is the same thing) and return to a “realist” emphasis on supporting the thugs that promise political stability at the cost of democracy. Credibility is part of the peacekeeping triangle of power, which is capability for action, interest, and will (or credibility/resolution). Capability is not only military, but also involves the people’s morale, the type of political system, leadership qualities, and so on). The interest of the leadership and public is equally important. If one loses or does not have interest in a certain action, then this affects one’s power to do something about it, such as the lack of interest in stopping the Rwandan genocide, or the current one in Sudan. Then there is will power, or the will to use one’s capabilities when one’s interests are threatened. It is that will that confers credibility, the most important element of this triangle. If any of the elements on the right are zero, power is zero, no matter how strong the other elements. If interest and capabilities to defeat an enemy are great, but will appears weak, then so is power.